Never had any problems with these chains, at this price cheap enough to change out at first signs of wear. 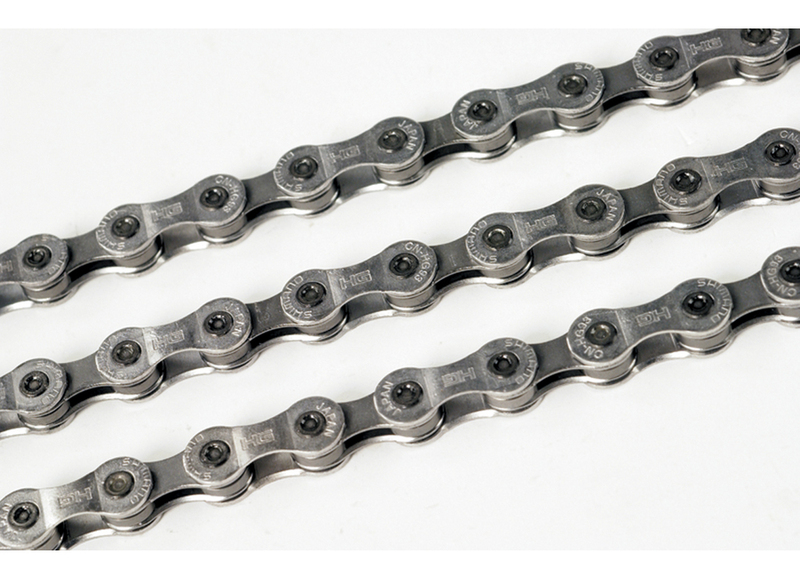 Chain comes pre lubricated, once split to the correct length it is joined together by shimanos own snap off link. The link is double the length of a standard link, it's pushed through and then snapped off with pliers. Although its not re usable like the SRAM power link I think it's a stronger and better design. Overall good quality and well priced. A chain is a chain is a chain. And this is a good one. Great value for money and working perfectly. Bargain price! Excellent Merlin service and delivery as always. Shimano LX quality as expected. Does what it says on the tin! Great product, easy to fit and at a fantastic price. It's a chain, it has links and comes in a nice plastic bag in a nice Shimano box. It's difficult to describe something so simple and effective and make it sound amazing, but it's worth every penny. Silky smooth at a great price. Would of liked a quick release split link but I think it's a Shimano thing that insists on a pin.